High-quality button up work shirt based on the Man of Steel! 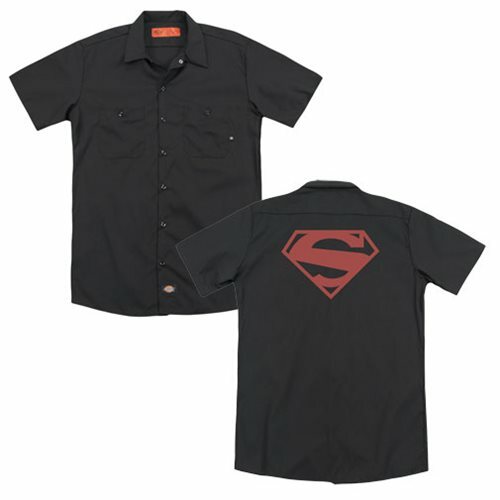 Commit yourself to looking good, with this Superman New 52 Red Block Logo Work Shirt! The work shirt features an image of Superman's New 52 "S" logo. The high-quality pre shrunk work shirt is made of 35% Cotton / 65% Polyester. Machine washable.